Dr. Virgil A. Coffman, Jr. (Dr. Art) was called home to be with the Lord on May 8, 2018. He was born and raised in Independence, Mo., at his grandma’s house on Dec. 20, 1937. He was a proud Army veteran. He attended Cleveland Chiropractic College in Kansas City, MO (CCCKC) and graduated in 1975, when he opened his first chiropractic office in Kansas City. His oldest son, Kevin, joined him in practice in 1984. He and his family moved to Chattanooga in 1992, where he was later joined by his son, Joe and daughter, Nicole, and their spouses in practice until all of the children eventually opened their own practices. His wish was always to practice until it was his time to move on to his heavenly home and he got his wish. He took care of patients in his office on Monday and he passed away on Tuesday morning. Dr. Art had many professional accomplishments. He served on the board (including holding the office of president of the board) and taught classes at CCCKC, past president of the Life Foundation Board, taught post-graduate seminars, member of and Tennessee Representative of the International Chiropractor’s Association (ICA), received the inaugural presentation of the Herman Ballard Award, was on the cover of “Today’s Chiropractic” magazine, owner/operator of chiropractic offices in Kansas City, Mo and Chattanooga, and speaker at his children’s (Joe and Nicole) graduation from Life University. Dr. Art wore many hats. 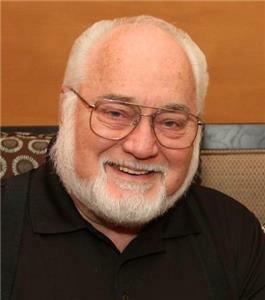 He was the patriarch of his immediate and extended family, a chiropractor of 43 years, held many leadership roles in his church, including officiating many wedding and funerals, and a loving friend. Beginning in high school choir, he had a lifetime love of singing, including the honor of performing at many weddings and funerals. His greatest passion was serving his fellow man through chiropractic. Thank you to all of his patients that allowed him to live this dream of service. We also want to thank all fellow chiropractors who lent an ear and desired to learn from him. In addition to healing, he absolutely loved teaching. He leaves behind to remember him his wife of 47 years, Judith K. (Sims) Coffman; his children, Kim Campbell, Kevin Coffman, Joe Coffman (Lisa), and Nicole Cole (Dan), Art will also be fondly remembered by his grandchildren; Chelsea (Chris), Nehemiah, Samantha, Benjamin, Isaiah, Olivia, and Sydney and great-grandchild; Paisley; his siblings, Sondra Green, Alice Manbeck, Jerry Coffman, and Gracie Dahl. He will also be remembered by countless nieces, nephews, cousins, and extended family and dear friends. Visitation will be held on Saturday, May 12, from 12-4 p.m. at Chattanooga Funeral Home North Chapel, Hixson, with a service immediately following. All are welcome to participate in this celebration of his life.